Our workshops are designed to help you improve your photography no matter what your ability. They are also designed to take you to beautiful locations in West Cornwall. The workshops are run on a one-to-one basis, but if you and two friends wanted to share a workshop that can also be accommodated. As workshops are run on a one-to-one basis, the day can be tailored to your exact requirements. 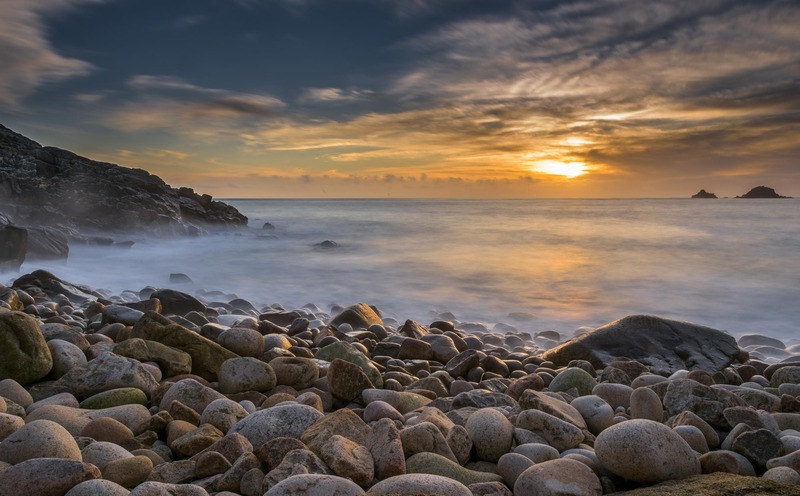 Workshops can also be in any locations you wish in the West of Cornwall or you can just let us know the type of photography locations you would like to visit and we will organise the day. Workshops can be one, two, three or more days and, if you require accommodation, local hotels, guest houses or bed & breakfast establishments can be recommended in or around Hayle or St Ives. 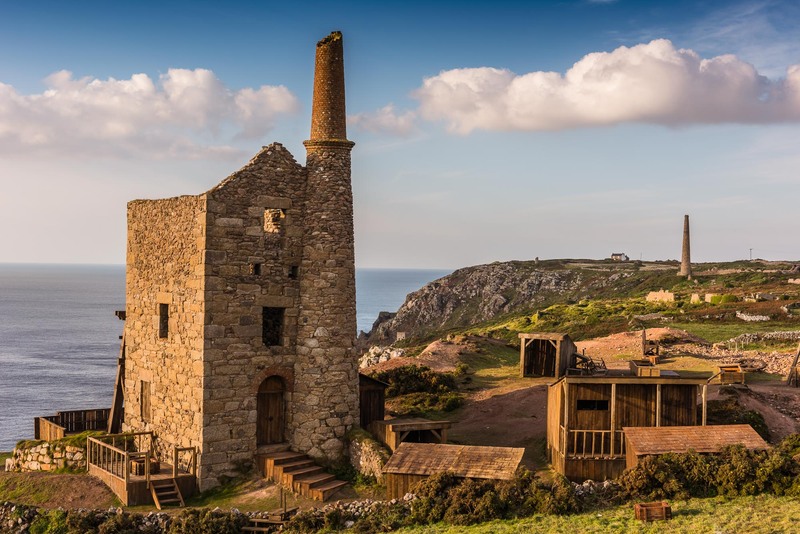 The area has so much to see and photograph from large bays with miles of golden sand, to small coves, fishing villages, lighthouses and old tin mines in land and stuck precariously on the edge of cliffs with beautiful expanses of wild seas as a backdrop. Within half an hour from our base you can cover any part of the Lands’ End peninsular from St Ives round to Lands’ End itself and Penzance. You can visit the Lizard Peninsular with its unique landscape and flora, some of which is not found anywhere else in the UK. Within an hour the North Coast of Cornwall also has fantastic coastal locations, stunning beaches, rugged cliffs and countryside. 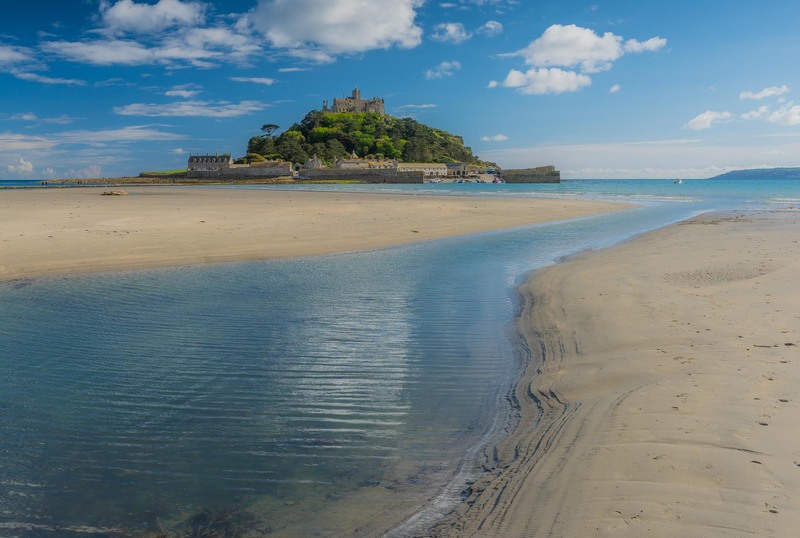 You will be able to visit areas such as Mounts Bay with views of St Michael’s Mount and the causeway, Kynance Cove, Cadwith, Porth Nanven, Porthcurno, Sennen, Lands’ End, Mousehole, Botallack, Godrevy, St Agnes and St Ives. Plus many other great locations. Also within easy reach are ancient sites such as the Merry Maidens, Lanyon Quoit and dozens of tin mines on the coast or inland. Workshops are run all year as the light and surroundings are different all year round. January, February and March are very good for rough seas as storms are quite frequent at that time of year when the light can also be stunning as the sun never get to high in the sky. 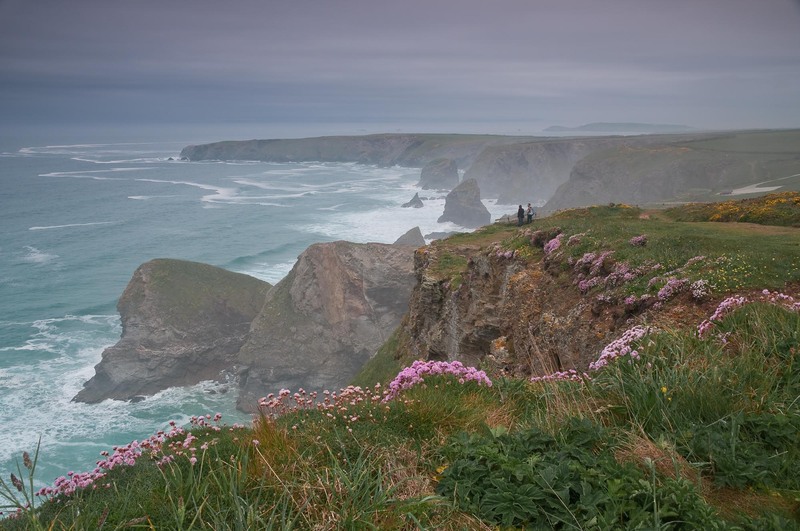 April, May and June are great months for coastal views with cliffs covered with spring flowers. In March and early April there are many fields of daffodils to be found. April and May is also bluebell time when woodland areas are carpeted in blue. 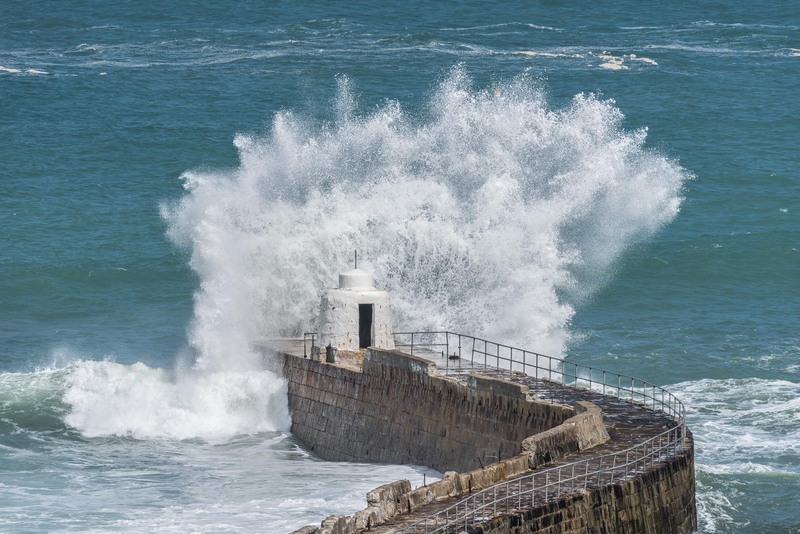 July and August are main holiday months when the area has many family visitors enjoying the beautiful beaches and other great facilities West Cornwall offers. Why not leave the family on the beach for the day and have a day’s self-indulgence enjoying your photography? Despite some holiday locations being busy, there are still many quiet photogenic locations to visit where you can learn and take some stunning photographs. September and October are also wonderful months to visit great locations. This is when the school holidays are over and West Cornwall is almost deserted again, but the weather can still be warm and the light very good. An added bonus is that the dawn is later and not at such an unsociable early hour and sunsets are also earlier. This means star photography in the dark, clear nights can be taken during the evening and not just after midnight as in the summer months. November and December with its shorter days still offer great opportunities for photography as the sun is much lower in the sky giving warmer light throughout the day. Another advantage with the short days is that your day out can include sunrise and sunset locations.